We are just got back form the Carnival and, of course, a bunch of new ideas just started popping out! So, this time, we will use Photoshop brushes in our new little creation called – The Mask. The Paper Mask that you can do by yourself, at home, with a little help from the Finest Floral Swirls Photoshop Brushes set but you can use others as well. Other brushes that would fit just fine on the mask are: Swirls Floral brushes set, Swirls 5.0 – Photoshop Brushes Set, Floral Vector set, Floral Ornaments Art Nouveau Photoshop brushes set or Tattoo designs Photoshop brushes set. You can also use St. Patrick Photoshop brushes set for incoming St. Patrick’s Day! And, above all – have fun!!! 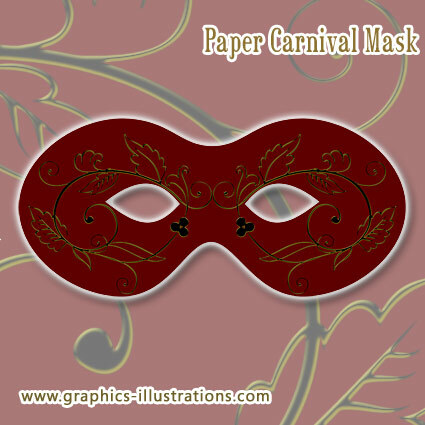 I just adore this Carnival Mask! Thank You! Did you really go to Carnival? Rio? Ooooh, do tell! Well, I did go to Carnival, but not the Rio one 🙁 How about you?